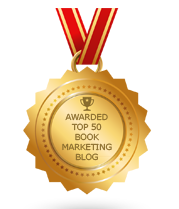 BookMarketingBuzzBlog: What Shape Is The Book Industry In? · In 2009, more books were published via print-on-demand than traditionally. · Only 40% of all book sales in 2008 occurred through bookstores. Another 40% of sales to customers occurred outside traditional trade locations. · E-book sales accounted for 3% of all book sales in 2009, up from 1% in 2008. · In 2009, 20% of print, audio and e-book sales took place online. The book industry has changed since then. PublishingPerspectives.com reports that, for the first time, in 2017, trade book publisher sales to physical and online channels were the same -- $7.6 billion each. The $26 billion US book market consists of trade publishing $16 billion), Higher Education ($4 billion), Pre-K – 12 ($3.62 billion), Professional ($2.35 billion), University Presses ($290 million). Audiobook sales grew 146% from 2013 – 2017. 2.7 billion units of books were sold in 2017, led by over a billion paperbacks sold (represents 36.9% of the market). Downloaded audiobook slaes rose 36.1% last year, while physical audiobooks declined by 11.4%. AAP says e-book sales dropped 3.8% last year, but Forbes said traditional publishers sold 10% fewer e-book units in 2017 vs. the prior year. thank you for the sharing in blogs,and good information.